Range in Japan Eradicated by 1993 in Ryukyus. Native organism(s) affected: Cucurbitaceous crops (bitter gourd, cucumber, pumpkin, melon, etc. ), mango, tomato, ben, papaya, etc. 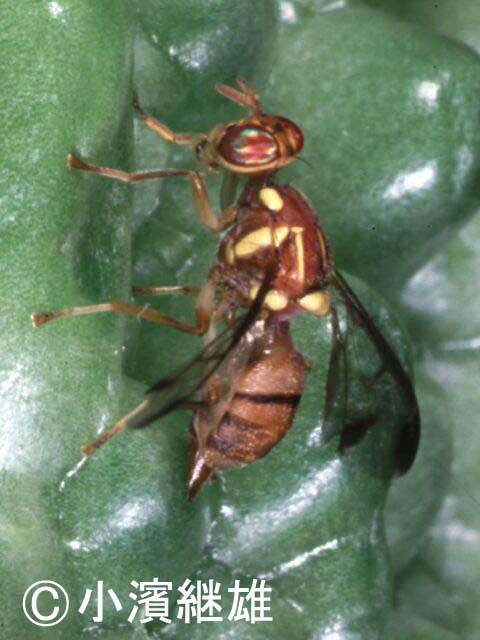 Regulation in Japan Designated as a Quarantine Pest. Import of living vines, leaves and fresh fruits of plants of the family Cucurbitaceae (with some exceptions), and fresh fruits of kidney bean, pigeon pea, carambola, cowpea, red pepper (capsicum), tomato, eggplant, papaya, and Hylocereus (dragon fruits) and Mangifera (mango) plants are prohibited (the Plant Protection Law). Introduced range in other countries Several parts of Africa, Mauritius, Reunion, Papua New Guinea, Hawaii, Micronesia, etc.